All visitors enter the Ethias Arena via the main entrance. In the entrance hall you will find color signage to the seats. Please check the color mentioned on your ticket. Or contact us by mail via service@teleticketservice.com. Please note! 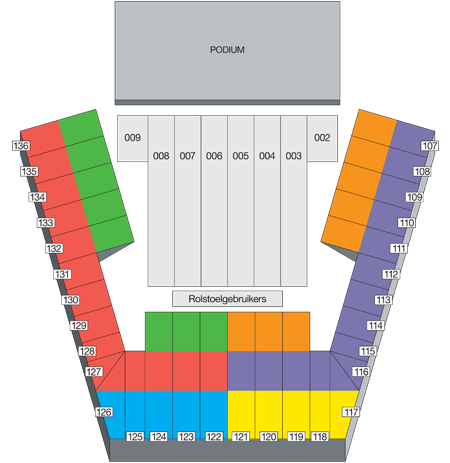 The seating plan only indicates the color zone of each seat. This seating plan does not make any distinction between price differences of a particular event. 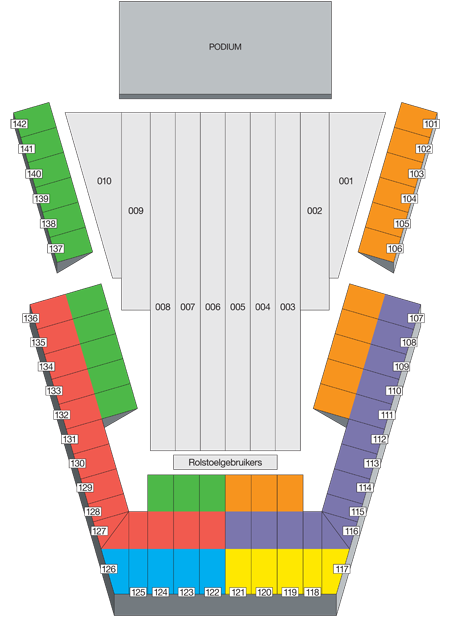 Also please note that different seating lay outs are possible in the Ethias Arena. Each organizer of an event is responsible for the pricing of each seat.